CELEBRATION: Two of the booklets which are expected to be distributed to schools to commemorate the contributions of national heroes. DIFFERENTLY-ABLED swimmer Shanntol Ince, the late historian Angelo Bissessarsingh, panman Len “Boogsie” Sharpe and deceased dancer Beryl Mc Burnie are among ten men and women identified as heroes and being celebrated by the Oilfield Workers Trade Union (OWTU). The union commemorates its 81st anniversary this year. The contributions of the ten to the development of TT have been condensed into a booklet for distribution to schools in the St Patrick and Victoria educational districts. These schools are among 33 which will be participating in the OWTU’s quiz and poster competition. The participants will be quizzed on the life and times of heroes, who include CLR James, Brian Charles Lara, Dr Rudranath Capildeo, the Mighty Sparrow, VS. Naipaul and the country’s first Prime Minister Dr Eric Williams. At a news conference at its Paramount Building headquarters, San Fernando yesterday, chief education and research officer Ozzi Warwick emphasised that the OWTU is about much more than labour riots, strike and protest. In this vein, he said, for the past 40 years the union has been hosting this competition with the objective of educating primary school students about the importance and significance of Labour Day and the heroes who helped to shape the country during that important period from 1937 up until today. The theme of this year’s competition is Celebrating Our Heroes. Warwick said the choice had to do with instilling in the minds and hearts of young people that they too can aspire to be heroes just like these ordinary men and women who made their mark, not only in local history but in the wider world. 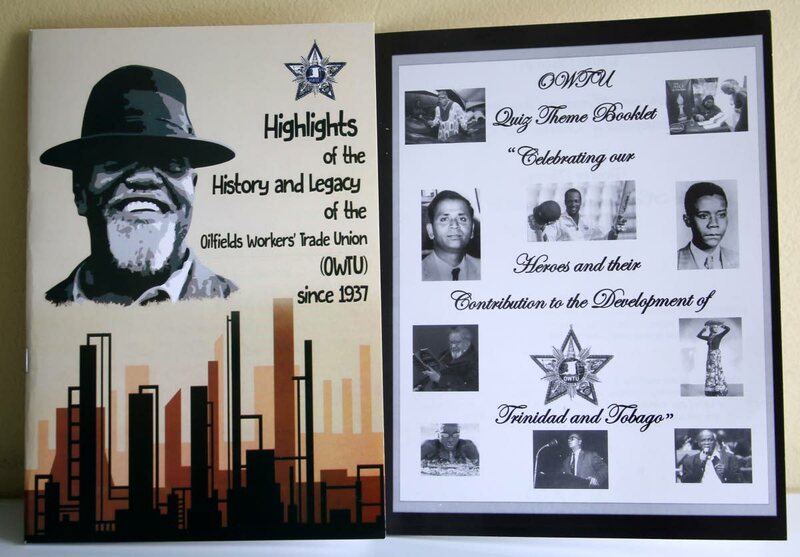 While the quiz and poster competition – which has as a sub-theme The Hero In Me and My Vision For A Better TT – targets primary students, secondary school students can participate in a panel discussion on pioneer trade unionist Tubal Uriah “Buzz” Butler. This panel discussion is scheduled to take place on June 14 at the Butler Hall of Revolution, Fyzabad, and will feature Prof Ken Ramchand, Michael Toussaint and David Abdulah. As it continues to demonstrate the value of sports and celebrate the heroes who emerged from this discipline, Warwick said the Rienzi Cycling Classic, held for the past 18 years, will again take prominence with a 75km race. Robert Farell of the TT Cycling Federation, who also sat in on the news conference, said the race will begin at 5.30 am from outside the Paramount Building on June 10 and will head down to La Brea, Point Fortin, Erin, Palo Seco, Siparia and end at Fyzabad. Senior labour relations officer Gregory Marchan said security measures have been put in place to protect the cyclists, as well as the runners participating in the 20K Butler Classic on Labour Day. Foreign runners and cyclists are expected to participate in both events. Reply to "OWTU to celebrate sports, culture, history heroes"